Eager to satisfy their guests, the managers have developed a completely new wellness area with hammam, sauna, outdoor hot tub, relaxing and massage rooms. The spa is complimentary for our in-house guests. The facility is also open to outside clientele. Furthermore you can order personalized gift certificates for your loved ones (spa entrance, massage, bottle of champagne, restaurant etc.). 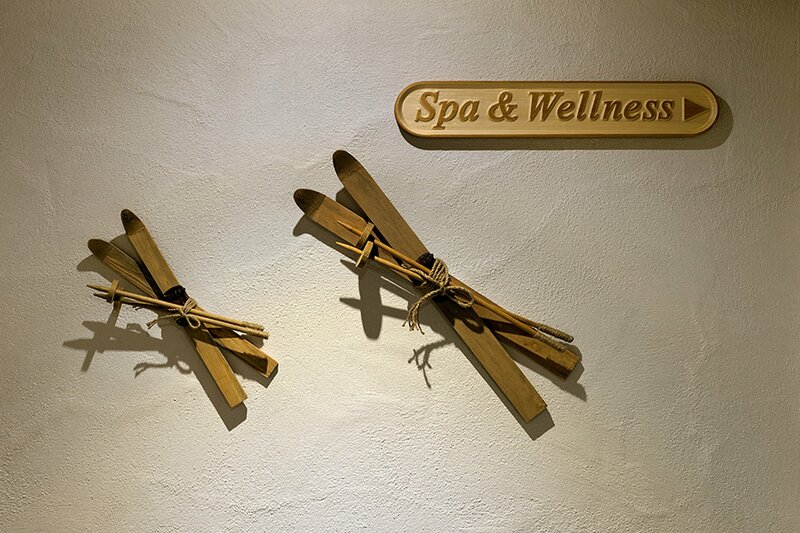 Choose between a sport and a relaxing massage and enjoy a few minutes of complete peace. You can book your massage at the reception desk during your stay or by phone. 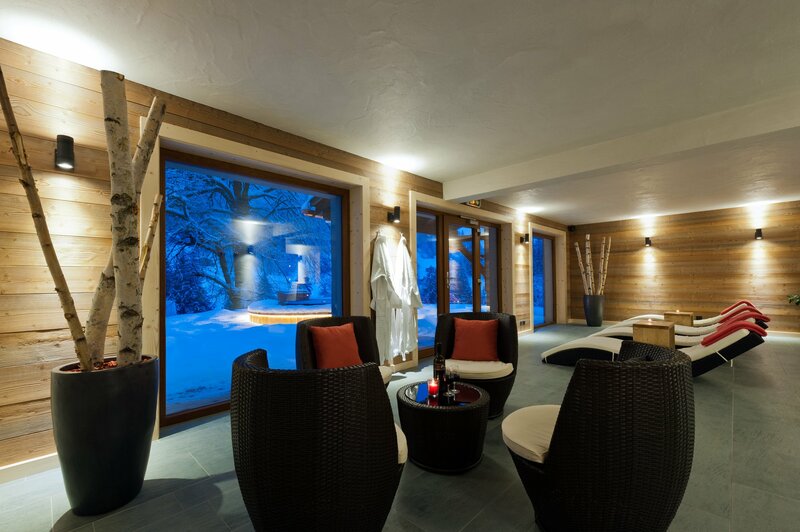 What could better than an 80° sauna after a day on the slopes or in the mountains. The muscles unwind and get ready for the next adventure. Best place to relax and recharge yourself, the hammam regenerates your skin. The hammam originates from the East and literally means “spreading the heat” or “hot water”. Our steam bath is heated to 45° and saturated with 100% of humidity. Just imagine water at 37°, a champagne glass and snowflakes falling or a beautiful sunset on the valley. 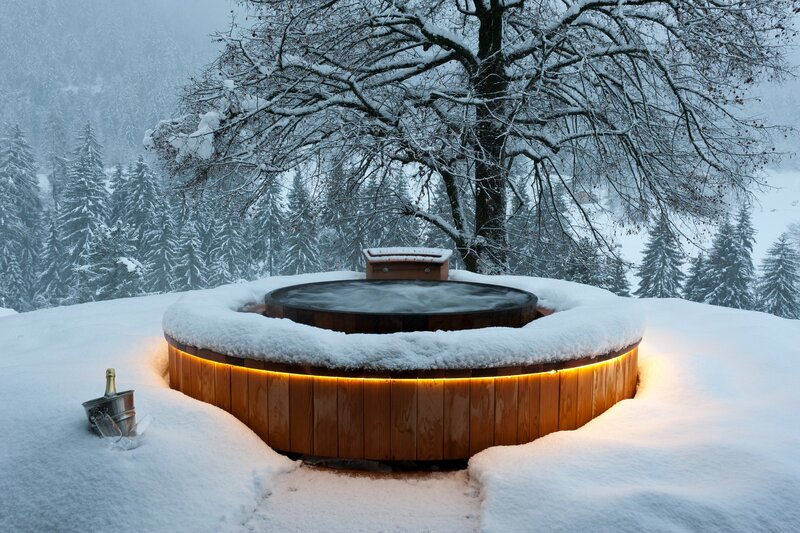 No, you are not dreaming but enjoying our outdoor hot tub that works with an overflowing system.